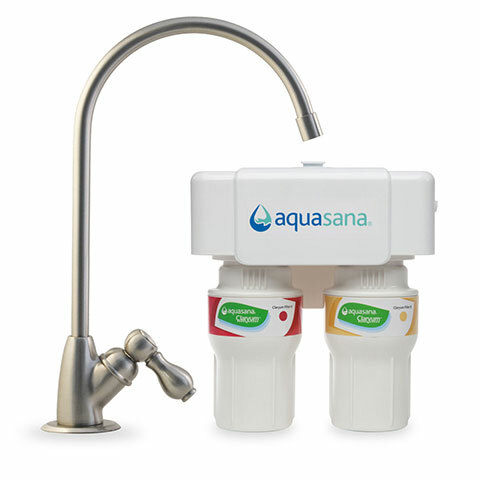 Instantly transforms tap water into healthy, great-tasting water with no installation or permanent fixtures. Countertop Water Filter - White is rated 4.6 out of 5 by 955. 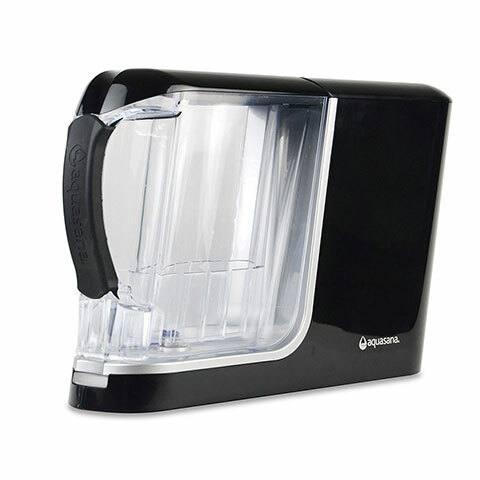 50% OFF COUNTERTOP WATER FILTERS - limited time! 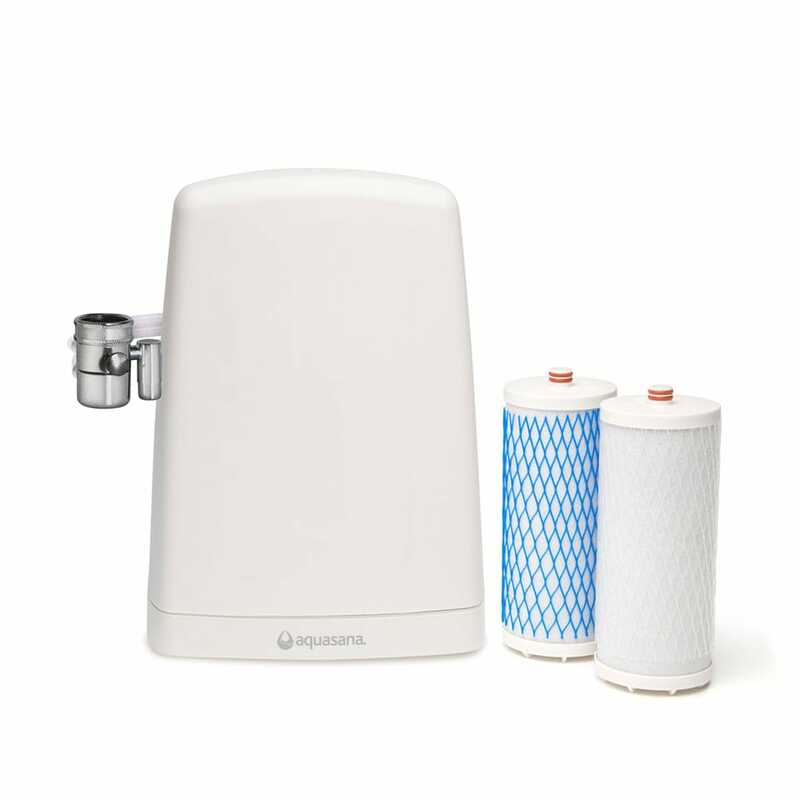 Rated 5 out of 5 by Bob the water guy from Aquasana counter top water filter I really like this filter system it fits on my counter and doesn't take up much room. My water is fresh and clean and tastes great. No more rust taste!!!! Rated 5 out of 5 by Dr. James E. Tille from Great ware from a great product This product installed easily. The quality of the water surpasses anything I have used before to include high-priced bottled water. The taste is superb, and the water is crystal clear and clean. 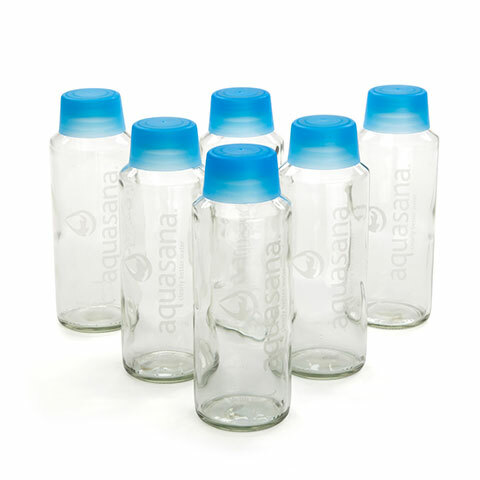 With changing the filter every six months, I went from $50 per month for bottles water to $10 per month for Aquasana water. I also got the filtered drinking canister for work, and it does a great job too. 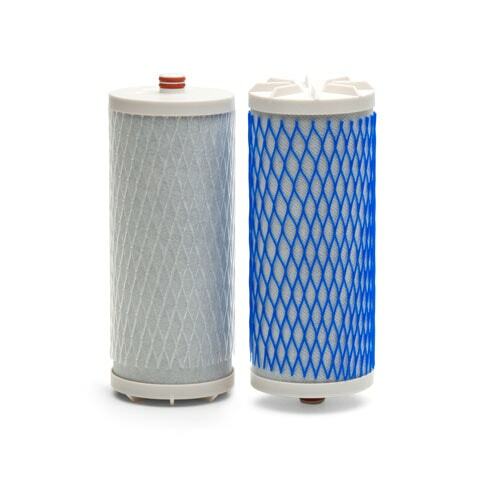 Rated 5 out of 5 by JuliePie from BEST COUNTER TOP FILTER I EVER OWNED! I have been using this model filter since about 2005. The water tastes great and I always feel confident my family is getting not only great tasting but healthy water!I use it to make iced tea, homemade soups, ice cubes, etc. Everything tastes better with filtered water. And I don't have to carry heavy cases of bottled water into my house and I'm not putting plastic bottles in the landfills which makes me feel more Green. It's a Win/Win situation! Rated 5 out of 5 by TerryLF from Great tasting water, and very convenient. I really like this filter system. It was very easy to install and use. Rated 5 out of 5 by Lindsey-mother of 3 from Love it! This filter is amazing. I have tried other filters in the past but resorted to using distilled water in which I added minerals. I am loving this filter though. I tell my husband daily how thankful I am that we purchased it. I love that it filters straight from the sink and I don’t have to worry about the chemicals being in our drinking water. The taste is great. It installs so easily and works really well! Rated 5 out of 5 by JeffS.Hydration required from Overall impression of new Aquasana Water filter This is the B E S T product one could purchase for the value!!! The water tastes great!!! Better than (and much cheaper) purchasing bottled h2o!!! I am so glad I found this company on line. Was skeptical at first, but now, would NEVER puchase a Britta or PUR water filter again!!!! Rated 5 out of 5 by Loves good water from I love the convenience I’ve used Aquasana filters for many years And love the taste. I feel confident that the water I’m drinking is safe and love the fact that my filter eliminates the need for using plastics. I did have to go to the hardware store to get an adapter that would fit my faucet, but otherwise installation was very easy and I did it myself .Great customer service! My countertop filter has been getting stuck on the on position after turning off the water source. If I forget to push the knob back in it will continue filtering the next time I turn my faucet on. Any ideas why? It comes with easy to read installation instructions. Make sure to look at the pictures, too, and install the filters in the right direction. (one is nob up, the other is nob down) -- There should be no problem. The unit itself, that is, the housing for the two filters, does not, in my experience, need to be cleaned. Our current unit, in daily use for over 5 years has showed no sign of any sediment or residue inside. The attachment at the end of the faucet, however (depending on your water supply), may need to be disassembled and cleaned of sediment from time to time. Our Los Angeles area water is &quot;hard&quot;, and over time, the faucet filter attachment accumulates tiny mineral crystals that restrict water flow. Does this include the 2 filters? Yes, it includes the filters. Does the countertop filter come with filer? How many filters in it and how much do they cost. Also, is there a light to show when filterneeds changing? 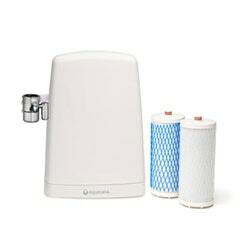 The Countertop filtering system comes with two filters, two connecting plastic hoses, and mounting faucet dispenser with adapters. Unfortunately, it does not have a light to tell you when it is time to replace the filters. It depends how often you use the system. It can be from 3 to 6 months. The cost is posted online. I have installed the under top AQ-4035. I need a replacement for the filters' container. I don't like the over top.